Miguel by Erreà is the ideal jacket to wear in your free time and as team uniform. Designed for men and perfect to wear before and after a match, it is characterised by a sporty cut and an athletic look and is extremely comfortable to wear. 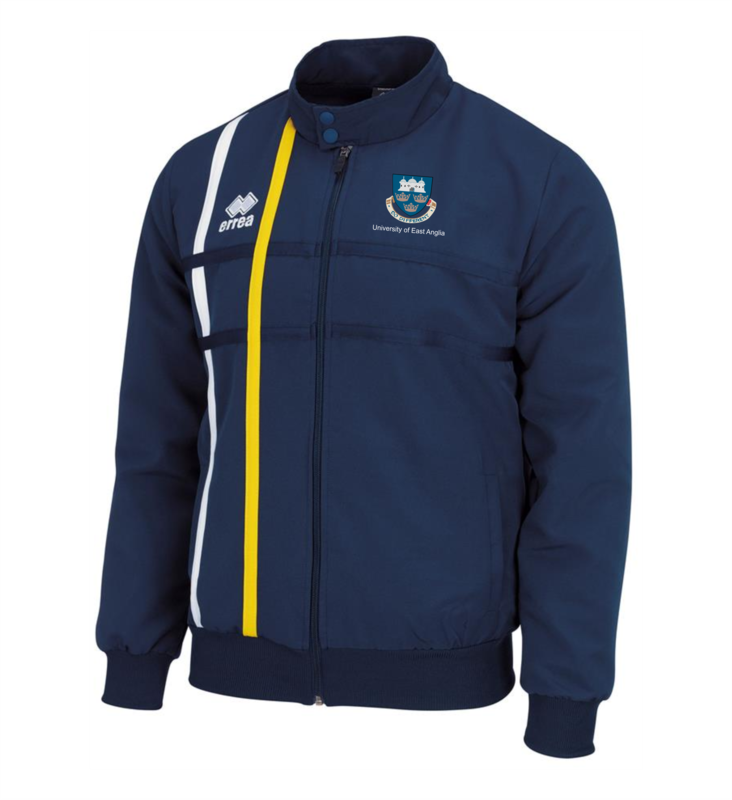 Its strong point is represented by the vertical and horizontal coloured inlaids at the front: they will allow you to have the UEA colours with you at all times. This jacket is perfect for your free time and, thanks to the waistband and the wide-ribbed cuffs, it provides an impeccable fit. Its technical fabric and the internal mesh will protect you from the cold and wind. Materials: Micro-soft. This is a lightweight fabric with a non stretch finish. The track pant to best go with this jacket is Errea Austin.